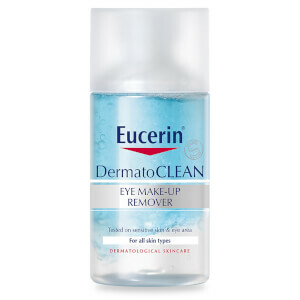 Remove make-up and waterproof mascara from the delicate eye area and lashes with Eucerin® DermatoCLEAN Eye Make-Up Remover. 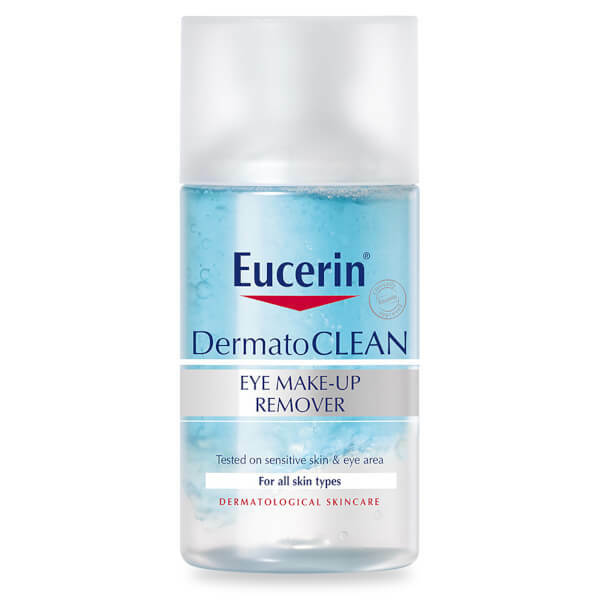 Suitable for contact lens wearers and sensitive skin, the mild, yet powerful complex has an upper and lower layer to deeply cleanse skin and rid of water resistant and water soluble eye make-up. The non-greasy liquid contains gluco-glycerol to moisturise skin, leaving the eye area hydrated and able to breathe. E.N. Fragrance, alcohol and paraben free. Ophthalmologically tested. Shake well to mix the two layers. Apply to a cotton wool pad. 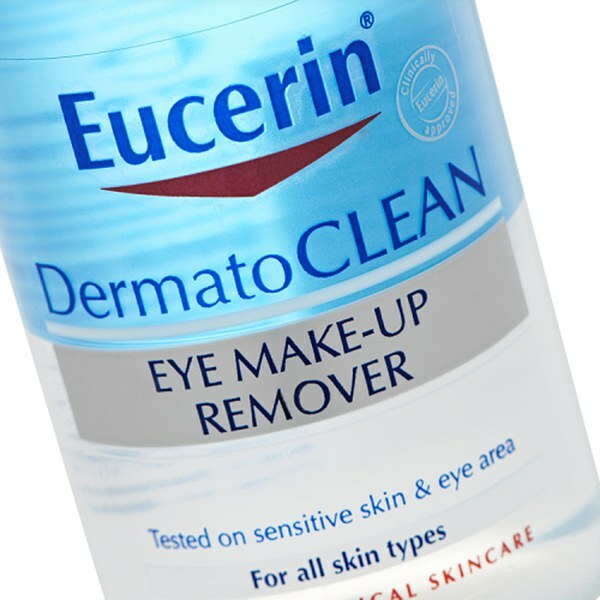 Gently wipe the eye area from inside to outside until the pad is clean.